Dove award nominee, Richard Kingsmore, has been arranging, orchestrating and producing music for the past 30 years through companies like Word, Warner, Lifeway, Lillenas, Brentwood Benson, Integrity, PraiseGathering, Alfred, Hal Leonard, David C. Cook, Praisecharts and many more. Music ministers and publishers around the world have come to associate his name with quality arrangements for choir, orchestra, praise band, and piano. He is a highly sought-after clinician for conferences, workshops, churches, universities and as a freelance arranger/orchestrator. Over the years he has worked with artists such as Travis Cottrell, Sandi Patty, Michael Bolton, Micheal W. Smith, The Nashville String Machine, Charles Billingsley, Eric Darken, Bruce Wethey, Dave Cleveland, and Jodi Benson. Richard and his wife Gina also have a music production and consulting company, Kingsmore MusicWorks, Inc., that provides musicians, vocalists and orchestras with creative, fun, playable new music and helpful resources to inspire and equip them to share their music with others. As part of this vision, they launched the popular orchestra series called, NextGen Orchestra. This creative series combines the modern sounds of the praise band with the color and excitement that only an orchestra can bring. A native of Texas, Richard began playing the piano at the age of six and studied music at Samford University, the University of Alabama, and Eastman School of Music. He started his career by traveling and performing with the group Truth and later began working as a freelance musician and arranger for Walt Disney World in Orlando, FL. His love for the piano continues today as he writes and performs his own signature style music for solo piano. Additionally, in 2003, he founded Vertical Generation, a 200+ member high school worship and arts ministry that leads students to worship and show compassion locally, nationally, and internationally. He is now using his experience and strategies to help other ministries start their own thriving student worship and arts ministries. Richard is currently serving as Worship Arts Artist in Residence at First Baptist Church in Charlotte, NC and is also a consultant with various churches and ministries across the country providing leadership to their worship ministry needs. 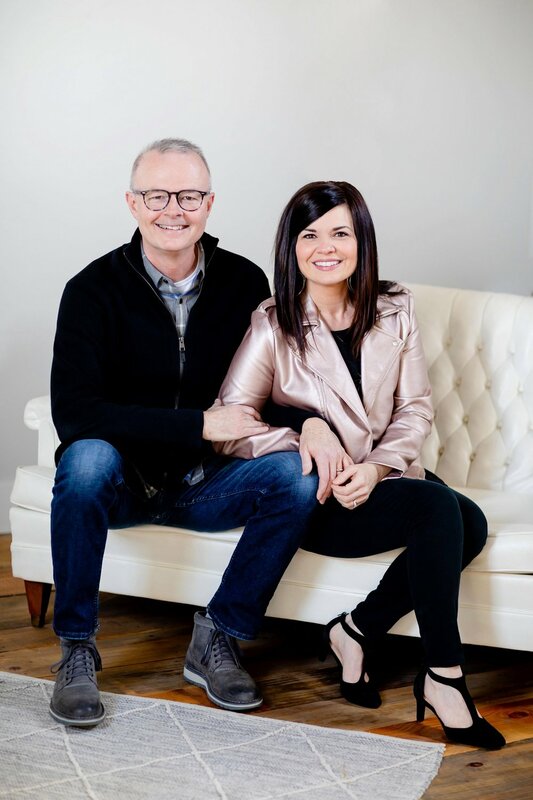 He and Gina also lead worship together at conferences, churches, and various worship events both nationally and internationally. They are also the founders of StoneBridge - a worship team that teaches and leads worship internationally.